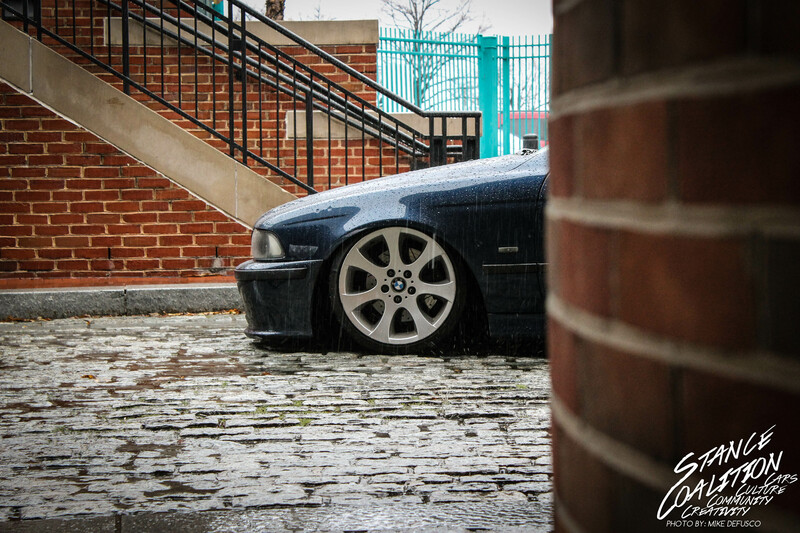 As winter settles in, a lot of cars get fitted with some winter wheels or tucked away until next show season. Everything slows down. 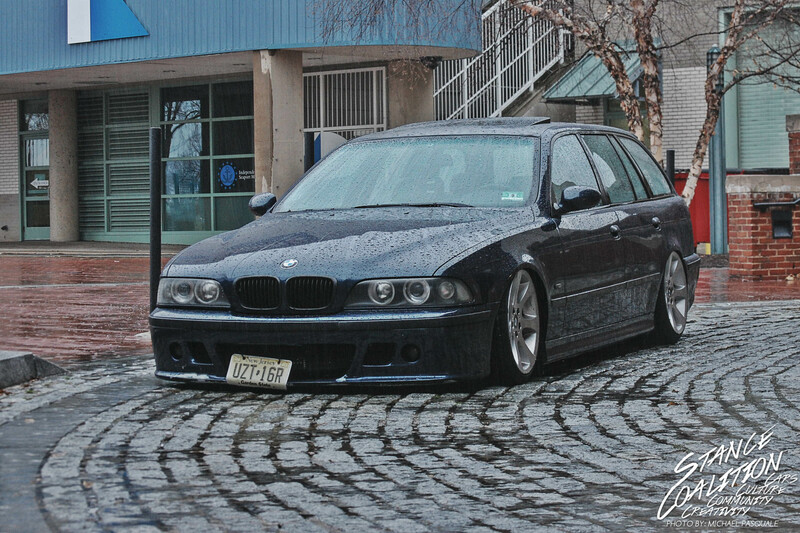 With that, said there is one car that stood out to us when the owner, Ty Paxos, contacted with some photos of his BMW E39 Wagon. First off, its a wagon. Secondly, its on air. I love that combination. 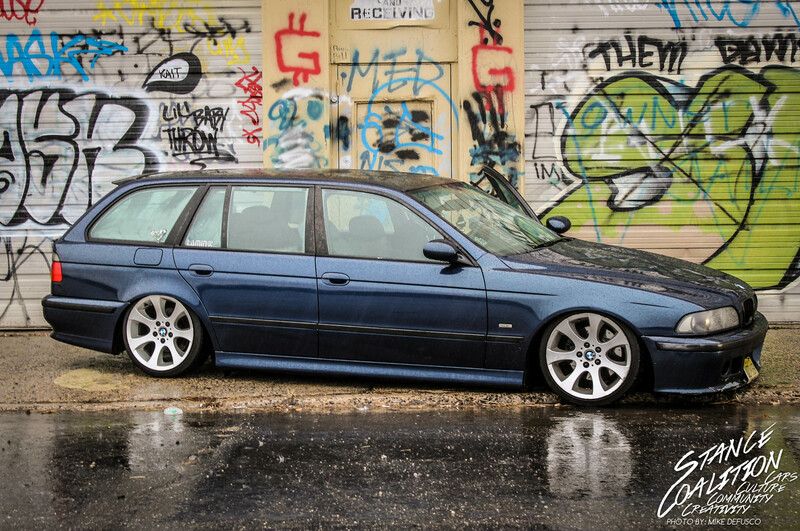 The car sports a 4.4 liter BMW V8 that makes this dad wagon get up and go! 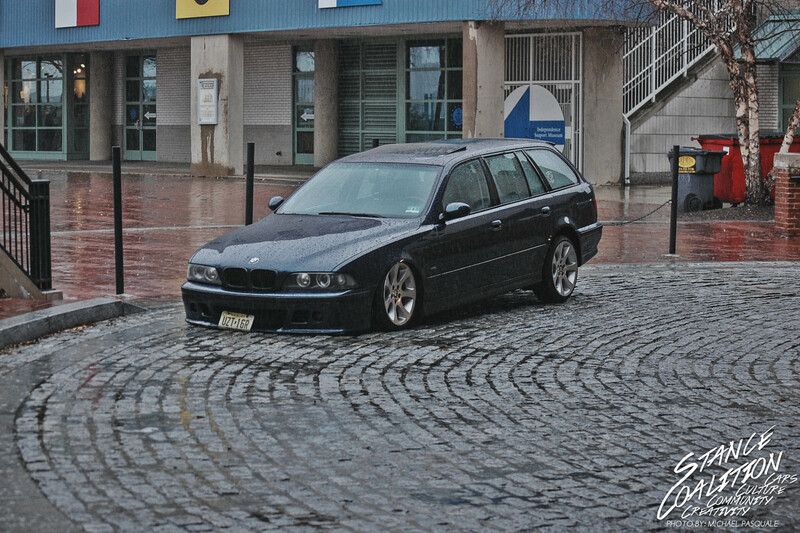 But the E46 M3 front bumper, carbon bill, Euro 50/50 tails gave this wagon the aesthetic appeal to set it apart from the rest. 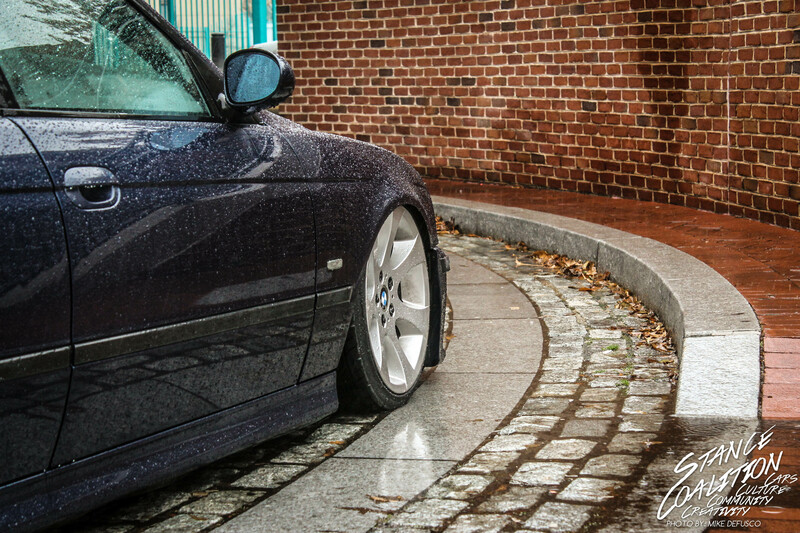 And nothing beat the air ride suspension to lay the car out on its BMW 3-Series wheels. 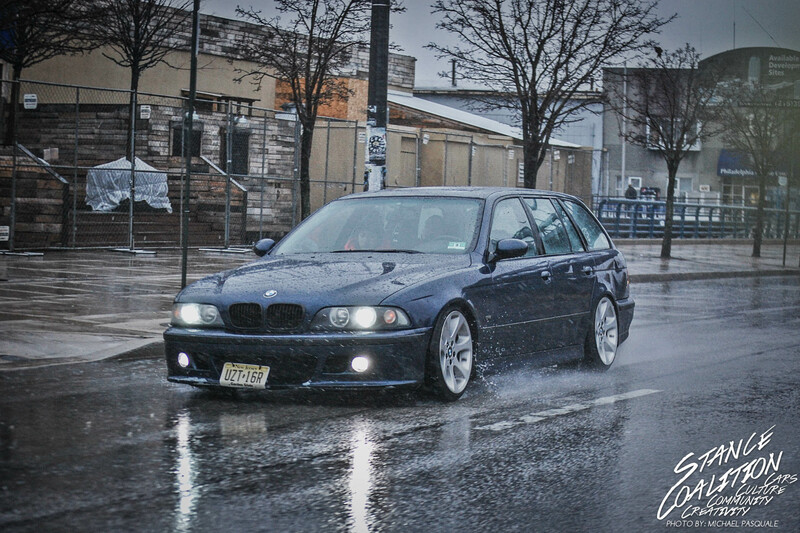 While we were fording through puddles trying to get from Penns Landing to Beach Street in Philly, Ty simply had to “hit the switches”, air up, and pass on through. 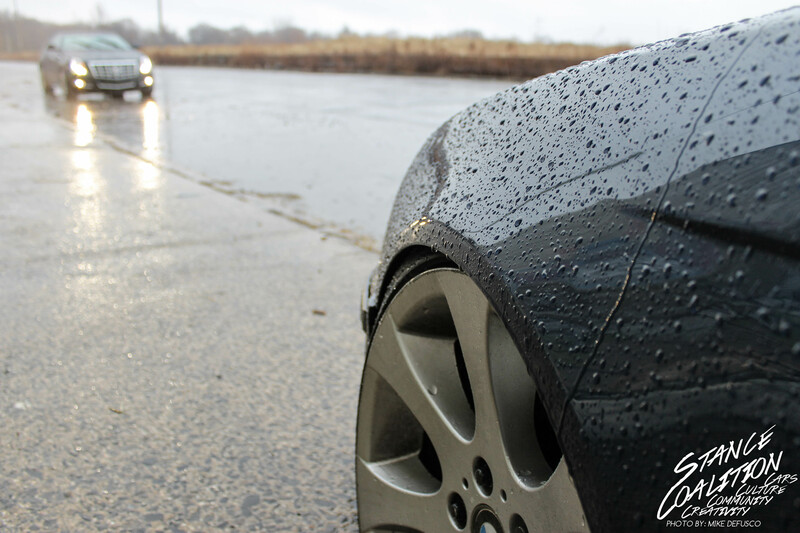 Although the rain was a minor set back with the shoot, Mike Pasquale and Mike DeFusco were able to capture some clean shots of the Wagon before the cameras became too wet to operate!